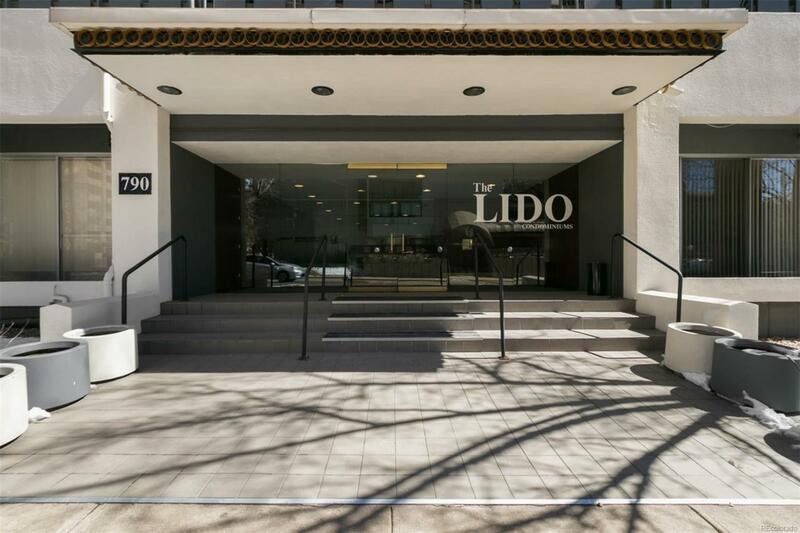 The LIDO is a sought after High Rise in Denver. It has the best of the rooftop pools, plus a gym, squash court, steam room, sauna and 3 sided roof top terrace. 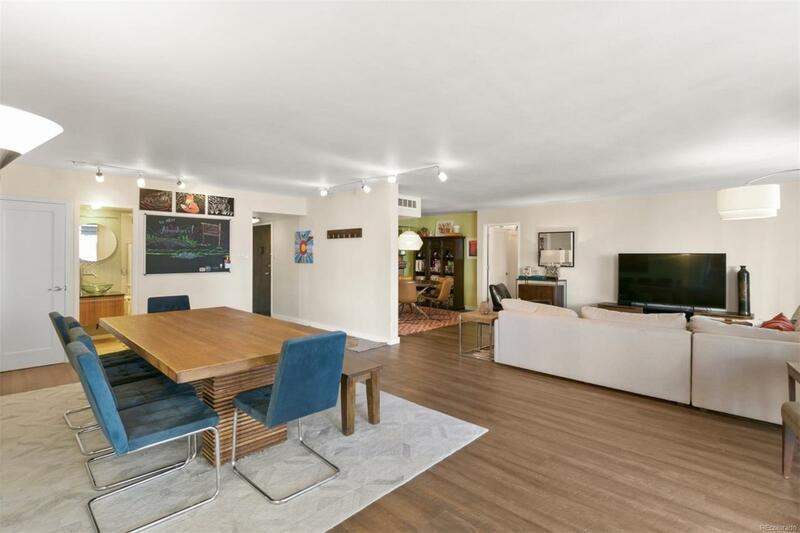 The unit is a rare open floor plan beautifully remodeled with spacious kitchen and over sized island. All opening onto large living room and huge balcony. 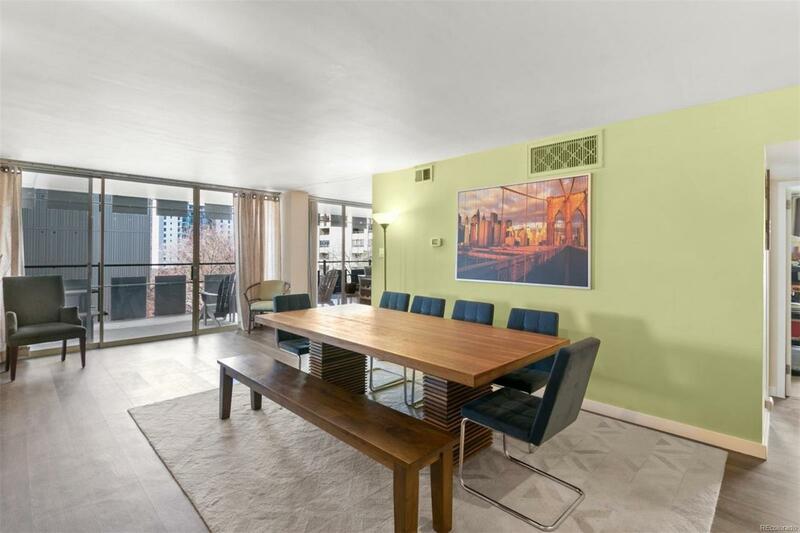 The floor to ceiling glass walls and two huge balconies add an extra 600+ sqft of entertaining space. Balconies face west and north. Extra visitor parking available! 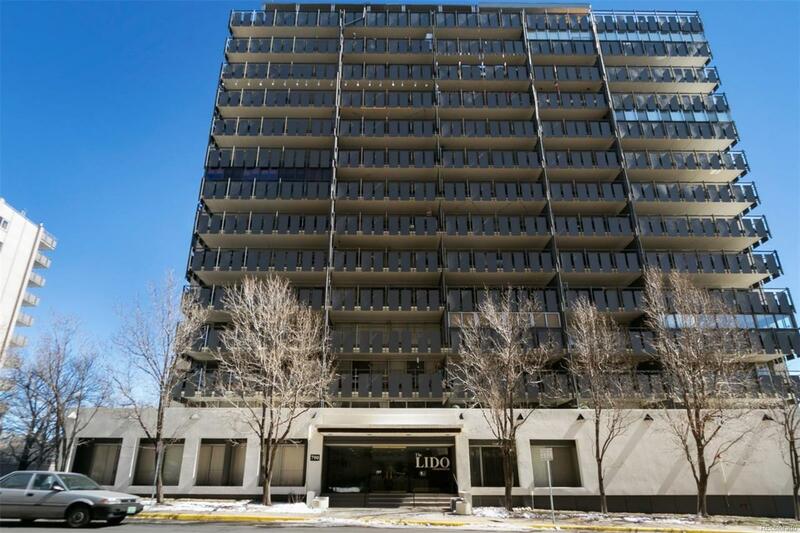 The unit includes two private garage spaces (34, 35) with additional storage units. Expansive bedrooms are comfortably large with plenty of closets. Well managed HOA and Building. HOA fee include the A/C, the amenities, and all utilities except for electric, and cable. The LIDO is pet friendly, people friendly.